A trust is an agreement by a Trustee to hold assets, which may be personal family assets as well as business and investment assets, and to administer those assets for the benefit of specified beneficiaries in accordance with the terms of the trust. We generally use the term “Grantor” in referring to the individual creating a trust although the words Settlor or Trustor may also be used. The word Testator refers to a person making a will and could be used to refer the person who has created a trust within their will rather than creating a trust by a separate document. Typically, an attorney drafts the governing agreement with the terms and direction for how the assets are administered and distributed. The individual creating a trust is generally the one who funds the trust; however, a third party may fund the trust as well. 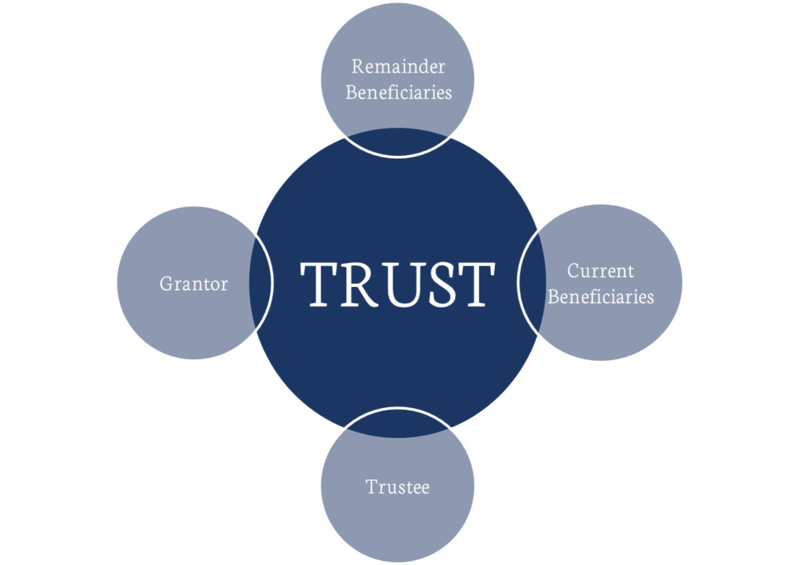 The Trustee is named in the Trust Agreement by the Grantor or in a will by the Testator and holds the legal title or ownership of the assets. The individual or corporate entity named as the Trustee has a responsibility to manage the assets for the benefit of the beneficiaries based upon the terms and directions given by the Grantor/Testator and expressed in the trust provisions. The Beneficiary is the party or parties designated to benefit from the trust assets. This often includes current beneficiaries and remainder beneficiaries. The current beneficiaries are eligible to receive current benefit of the assets under the terms of the trust and the remainder beneficiaries are those designated to receive benefit upon the death of a current beneficiary or an event terminating the interest of the current beneficiary.